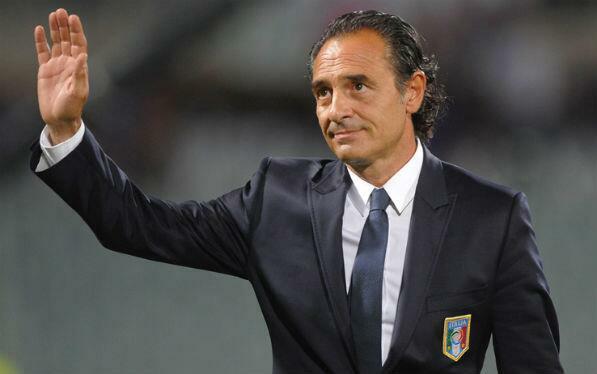 Cesare Prandelli said he has given his word to Italian club Lazio FC, even though they are interviewing other coaches. He said he “shook hands and I gave my word.” The former Italy, Fiorentina and Galatasaray boss agreed terms almost a month ago, but Lazio are still out for any coach they believe would help them get the desired results they want in the next campaign. Lazio are at the front to land Marcelo Bielsa this summer as they start to rebuild the team, on the field and at the bench. Frank de Boer is also in talks with the club but it seems Prandelli is being kept as second or even third choice, in case the other deals do not go through. Barcelona full-back Adriano is one of the changes the Italian club hope to make this summer. The Brazilian has completed his medicals at the club. The contract of the 31-year old runs till 2017 at the Nou Camp but he wants more playing time as age is not on his side, hence the move to join Lazio. Lazio also wants Torino's Ciro Immobile and would give Keita Balde to Sevilla in exchange, according to reports from Corriere dello Sport. Immobile is on loan with Torino from Sevilla, who in turn have taken him on loan with a compulsory option to buy from Borussia Dortmund. That’s the reason why Lazio wants to offer the Senegalese to Sevilla. The transactions may be done separately with Lazio selling Keita first before making the bid for Immobile.